This summer, after attending a reading workshop, I've made it my goal to amp up and improve my guided reading and shared reading instruction. 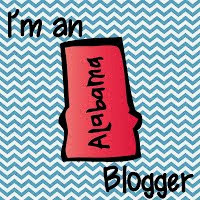 With this in mind, I've been rounding up my favorite go-to websites for free articles and passages for upper elementary, and I thought I would share those with you. Science News for Kids is a fabulous website that contains interesting and informative stories about research and current events that are all STEM related. Two things that I really love about the articles are that they come with "power words" located under the text as well as a link to classroom related questions. The articles are arranged by topics, and each article can be easily printed if desired. I realize that most teachers are very familiar with Readworks, but if you have not joined readworks, I highly encourage you to. Teachers are asked to set up an account, and once you do, you will find a wealth of articles, stories, and lesson plans all organized by grade level, lexile level, and topics. My favorite feature of Readworks is the ability to easily assign a story in Google Classroom. Vocabulary and question sets are included as well. Common Lit is another fabulous website that contains passages for grades 5-12 and has recently added content for 3rd and 4th grade as well. This site is full of history and science articles as well as fiction stories, and each one has question sets that students may answer online. Suggestions for paired texts are available as well. Resources are also available to track student progress. This is an amazing resource! If you are teaching fables, this website from Library of Congress contains a large variety of Aesop's fables. Of course, since they are fables, they are very short, but it is a great place to find both familiar as well as less familiar fables and use to teach students the characteristics of fables. Softschools is a website with both science passages and social studies passages for reading comprehension. All passages have comprehension questions that students are able to self-check. This site contains fiction and nonfiction passages as well as many resources organized by grade level. These short passages are perfect for close reading. Although this site is a little harder to navigate, it is worth the time to explore the many passages and resources that they have to offer. Kids Discover offers over 100 quick reads that are great for fluency practice or for pairing with a longer text. Time for Kids has a large amount of articles written just for kids. Although they offer a subscription, they do provide many articles for free that are organized by grade level. Smithsonian Tween Tribute contains a good variety articles for kids. You have the ability to choose articles based on grade level, but I also like that you have the option of choosing a lower or a higher Lexile Level of the same article which is perfect for differentiation or for challenging your gifted students. Once you create an account, you have the ability to assign passages and students are able to take quizzes. What can I say? Mr. Nussbuam is simply amazing! You can actually find just about any topic or skill with games, printables, and more on his site! A large amount of reading passages with comprehension questions can be found HERE. Another great option for passages are the numerous biographies that Mr. Nussbaum has on his site. 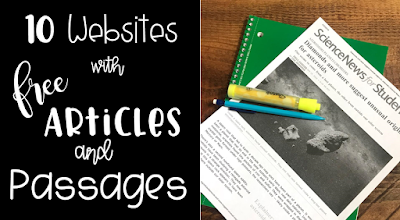 A perfect resource to use with any of the fiction and nonfiction texts and articles from these websites is my Reading Graphic Organizers Bundle. This packet contains almost 250 graphic organizers that can be used with almost any fiction or nonfiction text. Each one is aligned to the Common Core Standards for grades 3-5. Of course, if your school system does not use Common Core Standards, the skills that are covered in this packet are vital for any 3 through 5 reading classroom. 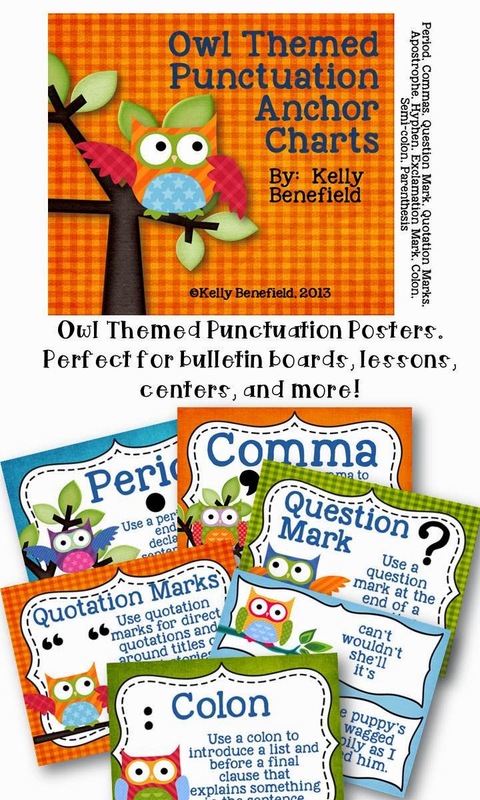 This bundle is perfect for guided reading, small group instruction, homework, close reading, independent practice, assessment, and more! Be sure to check out this bundle. I hope you check out these sites, because each one contains wealth of resources for your classroom, Just be sure to set aside plenty of time to peruse these websites. It is easy to spend a lot of time reading the mountain of information that is provided on these sites. Have a blessed day, and enjoy reading! "Disclaimer: I am in no way affiliated with any of the above websites or am I receiving any form of compensation. These are simply some websites that I enjoy using as a teacher with my classes."